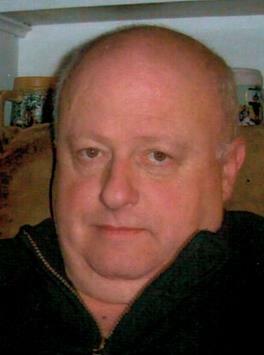 Obituary for David A. Saxby Sr. | DeMarco-Stone Funeral Home Inc.
Rotterdam – David A. Saxby Sr, 63, passed away at Ellis Hospital on Thursday August 16, 2018 after a short illness. Born on September 16, 1954 in Schenectady he was the son of the late Donald and Susan Serapilio Saxby. Dave graduated from Mont Pleasant High School in 1972 then served our country in the United States Navy earning the National Defense Service medal. He was a lifelong resident of the Bellevue neighborhood. Dave worked for the General Electric Co. as a crane operator retiring with more than 35 years of service. He also was a 15 year member of the Rotterdam Elks #2157. Dave loved to ride his Harley and hang out with his youngest grandson Devin Saxby. He is survived by his daughter, Sandra Saxby and his son, David Saxby Jr. both of Schenectady. 2 brothers; Richard and John Saxby. His 4 grandchildren; Zachery Kelley, Cassandra Nardi, Jerric Fillmore and Devin Saxby. His great granddaughter, Annalia Marie Andino. Dave is also survived by many more family members and lifelong friends. Along with his parents he was predeceased by his brother, Michael Saxby. The family extends their special thanks to everyone who loved our dad. Calling hours will be held Thursday from 10am – 12 noon at DeMarco-Stone Funeral Home 1605 Helderberg Ave., Rotterdam. A funeral service will immediately follow at 12 noon. Burial will be in St. John the Baptist Cemetery.